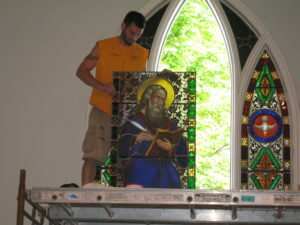 Brennan Stained Glass Studio worked on the recent restoration of windows at Christ Church in Manlius. The church’s oldest stained glass window dates to 1867. Scott Brennan will discuss the project and the windows at a talk 10 a.m. Saturday, May 20, at the church, 407 E Seneca St, Manlius. At least seven local congregations will participate Saturday, May 20, and Sunday, May 21, in the New York Landmarks Conservancy’s statewide Annual Sacred Sites Open House Weekend. The Preservation Association of Central New York (PACNY) is once again co-sponsoring the event. This year’s theme is Stained Glass: Windows on this World and the Next. PACNY kicks off the weekend with a 10 a.m. Saturday talk at Christ Church, 407 East Seneca St., Manlius, by Scott Brennan, of Brennan Stained Glass Studios. In “Christ Church’s Stained Glass Treasures,” Brennan and parishioner Robyn Visser will talk about the church’s window restoration project. Highlights include the 150th anniversary of the placement of the first stained glass window at Christ Church in 1867, the St. Luke window over the altar and documentation that shows at least two of the church’s windows are Tiffany. The talk is free and open to the public. After the talk, be a tourist in your own town by visiting open houses in Onondaga, Oneida, Madison and Tompkins counties. Central New York sites are among more than 165 open houses statewide. For a complete listing of participating sites statewide visit the Online Weekend Guide at www.sacredsitesopenhouse.org. To encourage sacred sites to open their doors to the general public. 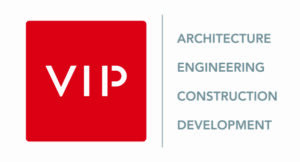 Inviting visitors is a great way to build broad community support for the ongoing preservation of historic institutions. To inspire residents to be tourists in their own town, introducing non-members to the history, art and architecture embodied in sacred places. To publicize the many programs and services religious institutions offer their neighbors. 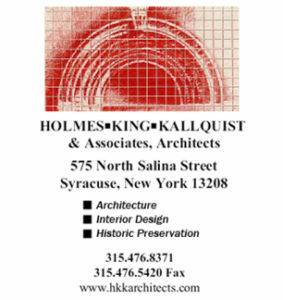 “This event is an opportunity for the community to learn about the historic and cultural significance of these landmark buildings, experience the beauty of some of Syracuse’s hidden architectural treasures and understand the challenges in their ongoing preservation,” said PACNY board member John Auwaerter. Below are details about the Syracuse-area participants. Saturday 10 a.m.-3 p.m. and Sunday 11 a.m.-3:30 p.m.
Saturday and Sunday 12-4 p.m.
Saturday 10 a.m.-3 p.m. and Sunday 10:30 a.m.-1:30 p.m.
Saturday 12-4 p.m. and Sunday 8 a.m.-12 p.m.